One of the biggest flushes of morel mushrooms in living memory, a sought-after, spring-time ingredient at many top-tier restaurants, is now bursting from the ground in the Sierra Nevada, just west of Yosemite National Park. Due to a land closure that has turned political, however, nobody can get to them. Roughly 400 square miles of woodland burned last summer in California's Rim Fire. The blaze was one of the largest in state history, consuming 257,000 acres of trees, mostly in the Stanislaus National Forest. It destroyed scores of buildings and caused an estimated $54 million in damage. Forestry officials say that dead trees with the potential to fall on roadways, trails and campgrounds pose too great a threat to allow public access. 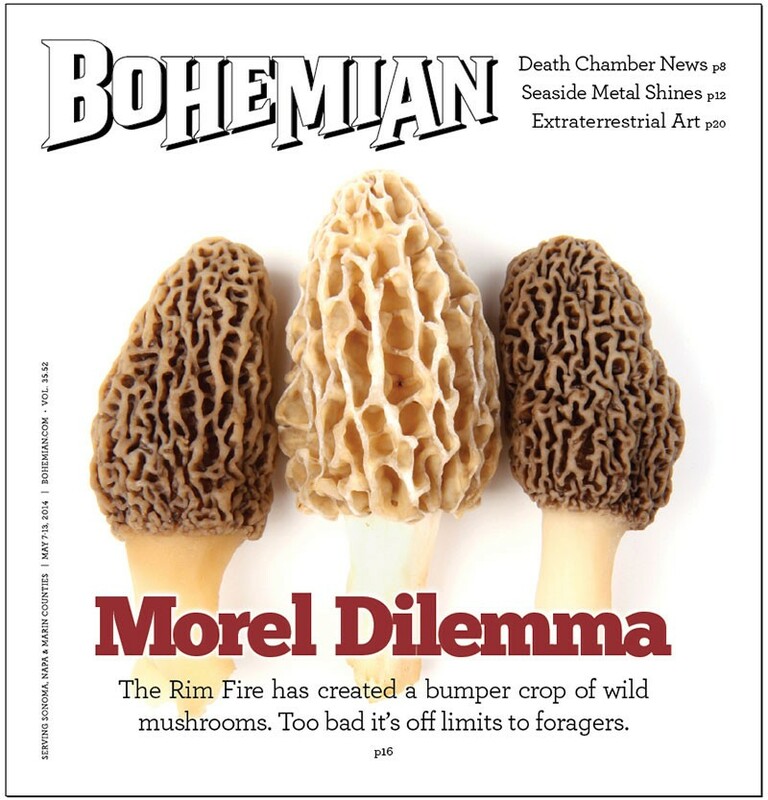 That leaves millions of pounds of morels—and millions of dollars to be made off the prized 'shrooms—stuck in the ground. San Rafael's David Campbell, a 40-year mushroom-hunting veteran, says the government has no reason—or right—to close the area. "I think they're being extremely unfair and self-serving in the way they're handling things," he says. The area is closed to everyone—except loggers, that is. "They say it's to protect natural resources, and they're logging the bejesus out of it," says Campbell. The penalty for entering the off-limits part of the forest is up to $5,000 and six months behind bars. So far, says Don Ferguson, spokesperson with the Forest Service, most violators have only received warnings. Curt Haney, president of the Mycological Society of San Francisco, has a similar stance. "It's dangerous any time you go in the woods," he says. "There are bears and mountain lions. So why not ban hiking all the time?" There are hundreds of different kinds of edible mushrooms, but morels are special for their flavor, size and fleeting availability. These aren't the type of mushrooms found on pizza or at the self-serve salad bar; they aren't even found in most grocery stores. These are special-order, shipped-around-the-world mushrooms. Duskie Estes, chef and owner of Sebastopol's Zazu, loves morels. "They have a deep, earthy flavor," she says, that goes great with spring flavors. "Peas and morels are killer." Morels are often only procured through foraging trips with a seasoned guide, and denizens of the North Bay are lucky enough to have them within driving distance, when conditions are right. Morels can grow almost anywhere, even out of concrete-layered sidewalks. But for reasons not entirely clear to scientists, they grow most prolifically from burned ground, where ash and wood char have leached into the soil. 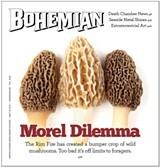 Morel hunters covet recently charred forests for this reason. Haney has been lobbying for access to the closed area for months with his club members and fellow mushroom aficionados.